While recently traveling through Elko, Nevada for the National Cowboy Poetry Readings, Aaron discovered gear for horseback trail riding (which is his love) in the tourist section of the town. Living within the shadow of the Grand Tetons myself, Jackson Hole Wyoming is less than a few hours away from my house, so I am very familiar with Western Tourist traps. One lesson I learn is that if the locals are wearing products from the store, you know you’re in the right place! Such was the case for Aaron at Capriola’s in Elko discovering beautifully detailed silver spurs. A part of the vaquero spirit is having the right gear. Not only should it be quality, but look like quality riders. 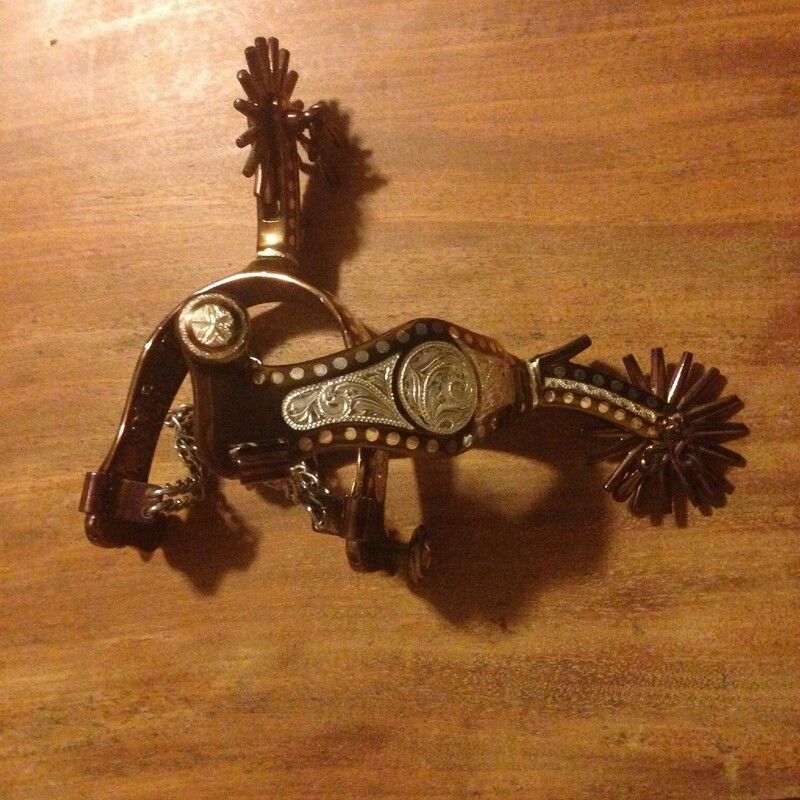 Spurs are not intended to hurt the horse, but are designed as a tool to give the horse cues. The ‘jingle bobs’ that Aaron rattles on the podcast are today’s featured image giving us an audio example of what quality literally sounds like. So ask yourself, what “certificates of authenticity” to you have in your life? In other words, what items do you focus on the quality that brings you joy, drive and fulfillment in your work? Surround yourself with people that challenge you and encourage you to become better. Know what you’re great at. What do you struggle with? Stop that, and do what you’re great at. Own it. If there’s other stuff that you need and you know you’re not good at it, get someone on your team that IS allow them to share that greatness. Get people who PLAY at the things you have to work at. Surround yourself with it and your client will be given a great product and service. Become the best in whatever you do and the product will speak for itself. At the age of 94, Natalie’s Grandpa is still just as much a cowboy as he was as a child growing up in the 1920s. One time while tying a quilt for one of her children with her Grandma (8 years her grandfather’s junior but more active than most middle-aged women! ), Grandpa pulled up a chair next to the quilt and read some poems he had been collecting about cowboys. None of them were very famous and some written by acquaintances, but that memory still remains so vivid as the pure, simple heart of a cowboy shared a part of himself that day.